Sequels are always tricky. 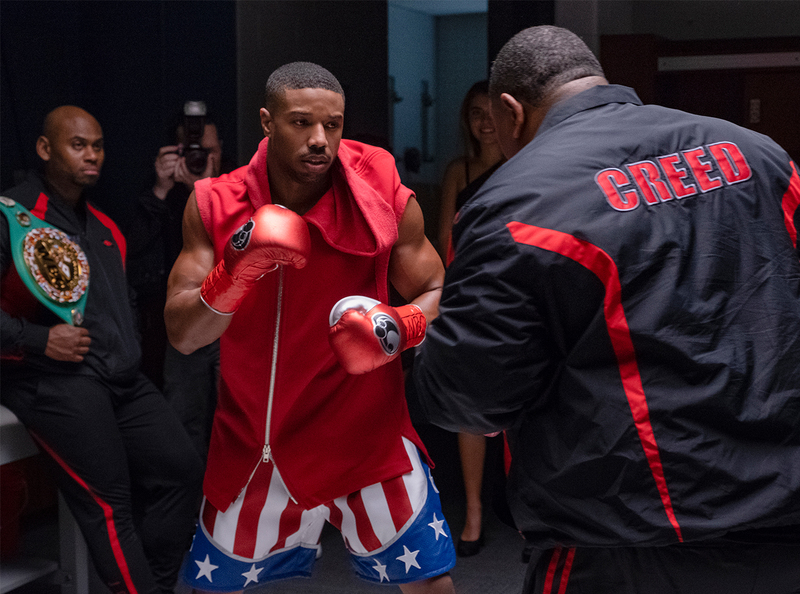 Great success leads to great expectations, and such could be said about Michael B. Jordan’s physique in Creed, accomplished with the help of his longtime trainer, Corey Calliet. The first shots of Jordan as Apollo Creed’s son, Adonis, quickly went viral, making a statement to fans of the Rocky franchise, and launching the movie toward massive box office success. In order to take his training and the stakes to a new level, Jordan needed a real challenge. Creed II brings two: the move for Adonis from light heavyweight to heavyweight, and a whole new class of competitors. Stepping into the other side of the ring is the son of Ivan Drago, Victor, portrayed by the massive Florian “Big Nasty” Munteau. Calliet set an intense four-month plan in motion, which would give Jordan the same size he built for his Black Panther character Killmonger, while making him more explosive. The regimen included complex lifting movements Calliet developed using his bodybuilding background, as well as exhaustive boxing sessions—more than they had done on the first Creed. Putting on size meant adding onto Jordan’s frame by any means possible, especially in the shoulders, which they worked to bulk using dedicated circuits. The final results of Jordan and Calliet’s work together can be seen on screen, but for the trainer, the real success was watching the actor become an even better boxer. Below, check out a sample training plan that hits your full body, paying special attention to the shoulders and chest, courtesy of Calliet. Directions: Rest 90 seconds between chest exercises and 60 seconds between shoulder exercises. Directions: During this circuit, shadow boxing serves as a period of active rest. You’ll stay moving with your full body engaged before hitting the next aerobic exercise. Complete 3 rounds. Jumping Jacks (any variation) x 30 sec. Shadow Box x 1 min. Shoulder Taps x 30 sec.